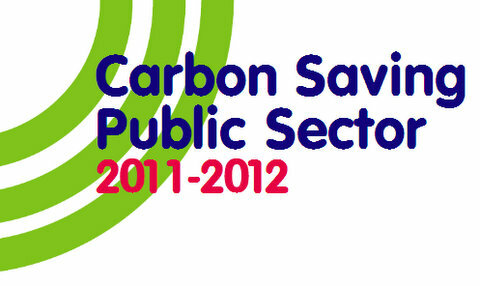 The week before the CRC reporting deadline saw us hosting our Carbon Saving Public Sector 2011-12 launch events in London, Manchester and Newcastle. Timed to coincide with final report compilation and submission, the events provided the opportunity for our member delegates to go over their CRC requirements, resolve any outstanding issues, and learn from examples of best practice. The main bulk of each day’s schedule was consumed discussing CRC issues, alongside which we also had an overview of the options and offers now available to councils around solar technology and feed-in-tariffs (FITs). Primarily however, our events are held to provide the opportunity for face-to-face discussion, expert advice and networking; as well as to welcome new delegates to the Carbon Saving Public Sector (CSPS) network. Since the events, we have compiled and reflected on the key areas that emerged as discussion points for our member delegates. These areas are summarised below, and will form the basis for further discussion in our Linkedin group. For many organisations, establishing clear and comprehensive processes, policy and procedure for CRC is often given a lower priority than the actual reporting and analysis of energy use. Many of our delegates confirmed this, with organisations often not having auditing policy and procedure fully laid out or evidence packs completed and in one location. Few of our delegates have had CRC teams in place over the last reporting year, and have spent little time laying out the CRC roles and responsibilities of the personnel in their organisation. We advise that organisations begin to think about forming CRC teams, and spend time outlining roles and responsibilities for CRC compliance. The benefits of doing this are clear. For example, one of our delegates whose organisation had a CRC team told us that this greatly facilitated bringing together the right people to deal quickly with risks and challenges. Similarly, Cranfield University had a clear list of contacts, roles and responsibilities in a single manual that will undoubtedly be very useful for internal communication and personnel training when compiling future CRC reports. All CRC participant organisations are required to name a senior officer who is responsible for compliance. On this point, several delegates noted that their senior managers were rarely involved with any part of the CRC process, and had little knowledge of what is required. With our events highlighting examples of very good practice as well as areas for improvement on process, policy and procedure: our delegates were keen for us to compile a comprehensive catalogue of cases of best practice. Consequently, we now plan to compile a best practice and template resource for our members and Local Energy consultant Peter Chasmer will work on a series of Excel macros to help organisations to collate data. A general issue for organisations was that annual supplier statements have been poor; with initial estimates being often amended several times, and people not receiving what they asked for. At the same time it was noted that there is a perception of supplier statements as the ‘holy grail’ of data. On this, Local Energy’s Karen Lawrence advised that supplier statements should only be used for reference purposes, and that organisations should primarily rely on their own data for reporting. Inregards to the source list tool on the Environment Agency website, our delegates felt that while it was useful as a starting point, and for some smaller tasks; for larger tasks and organisations it was cumbersome and inflexible, and would often malfunction. In particular, the use of drop-down menus for individual fields of data was unwieldy. The SystemsLink software was popular in terms of the various software packages delegates were using; most people happy with its operation, and the speed at which requested changes were added. In contrast, delegates who have been using TEAM have had problems producing accurate reports, although we understand that these have largely now been resolved. With the CRC no longer a cap and trade scheme, much of the need to trade and think strategically about carbon allowances has been eliminated. 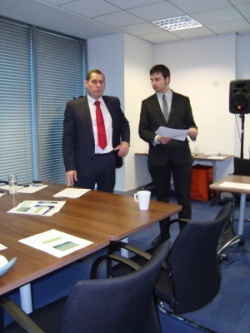 However, possible buying strategies did come up at our events, leading to some interesting conversations. One delegate said they were planning to buy allowances to meet their highest potential needs, with the view of taking any surplus forward to the next trading year. With the government planning to sell allowances twice a year, with prices rising through time, there certainly seems to be scope for councils to take a strategic approach to purchasing and potentially saving a lot of money. While we may see a small carbon market in the next phase, much depends upon the pricing structure, how many people seek to buy surplus credits, and whether councils can justify upfront investment for future years. Taking our discussions away from the CRC scheme, Peter Chasmer opened our afternoon sessions with an introduction to solar technology and a discussion on the results of his survey into how councils view solar financing schemes. The survey showed that councils were open to potentially moving forward on solar schemes, and that many would have funds available to invest in the right project. This level of interest was paralleled amongst many of our delegates. It was, therefore, useful to hear in two of our events from Craig Copeland, director of Cameron Alexander, about the package his company is offering councils for solar financing. Hearing about the offer and the figures involved provided the platform for a wider discussion about the issues councils should consider around solar. For example, for rent-a-roof offers, councils were concerned about the legality and practicalities of signing a 25 year roof contract; how you would deal with tenants having the right-to-buy; whether such schemes would need to go through tender processes; and whether schools should be considered, especially with the current uncertainty for councils around academies. A further issue to arise was whether the necessary selectivity of houses chosen for installation would breach equality legislation; although on this point one Manchester delegate noted that their internal research had found relatively small performance differences between varying roof orientations. 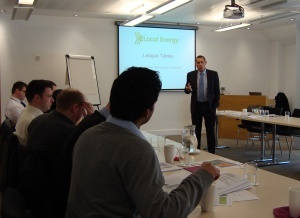 With so many of our delegates interested in the possibilities around solar (over half of our Manchester group), Local Energy is now keen to look at how we can help with providing expert and detailed information and advice to councils and public sector organisations. This is something we will work on in the coming months, and we are happy to talk to any councils currently looking at solar financing options. With the government having announced a further simplification of the CRC scheme (public consultation due this autumn), we spent some time discussing several of the key proposals. The two areas of particular concern to our delegates were how academies and PFI’s would be dealt with under the simplified CRC rules, and to what extent councils would continue to be liable for their energy use. We further looked at whether our members felt that the reduction to four core fuel types and the ending of the 90 per cent rule would, in fact, simplify the CRC scheme. On this issue opinions were very mixed, with some happy to see the change while others said it would not simplify their reporting and would cost them more. As these issues are going to be opened to consultation, and because they raised a number of concerns for our delegates, we encourage you to send us your comments and suggestions. We will compile what has been said, open it to discussion within our Linkedin group, and submit the comments collectively to the Department of Energy and Climate Change.